As expected, some time has passed between this post and my last. In that time I traveled with my family to Mexico City for some two weeks, and sorting through the sheer quantity of quality food I consumed in order to filter out what I wanted to share on this blog has been daunting to say the least; and as I do when faced with anything daunting in my life, I shied away from tackling the task and hoped that it might just go away. But given that it is likely that I will carry the extra pounds I picked up on my latest trip to Mexico, so it is equally hard to shed the food from my memory and the compulsion (and yes, compulsion is really the right word) I have to write about the food I most love. So here, as it were, are some highlights. Tacos de Cecina in the Mercado de Jiutepec, just outside of Cuernavaca, the city of the eternal spring (and Denver's Mexican sister city). 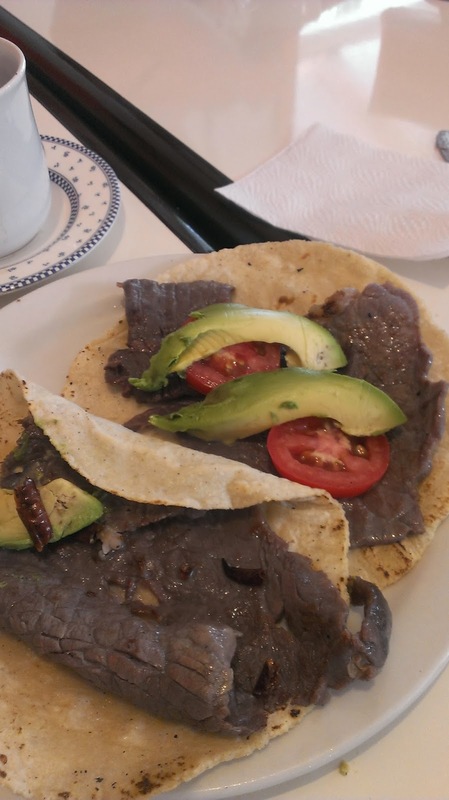 The thinly sliced dried and salted beef is synonymous with the region and made for a delicious breakfast wrapped up in these large, freshly made corn tortillas alongside a cup of steaming cafe de olla. Itacates de chorizo y papa with grilled nopales in the Mercado de Tepotzlan. 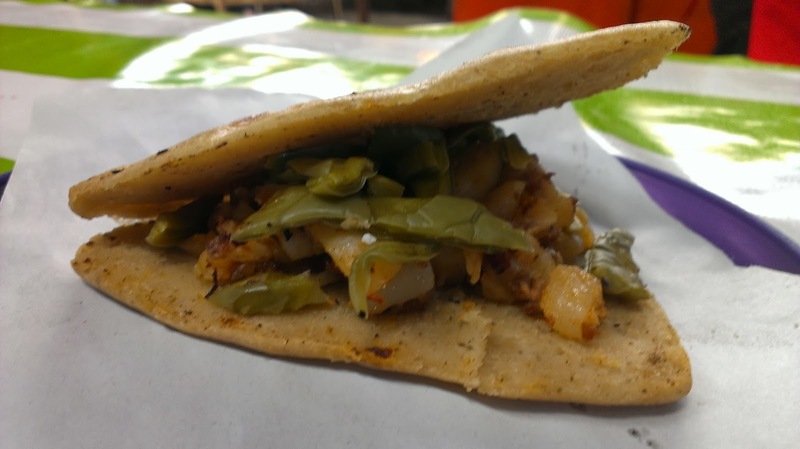 People in Mexico City say that this regional specialty is pretty much only found on the streets of this mountain tourist town just outside of Mexico City. It shouldn't taste any different from a sope, or a gordita, or any other fried masa dough combination. After all, it's pretty much the same thing only shaped in a triangle. But it does. And it is amazing. 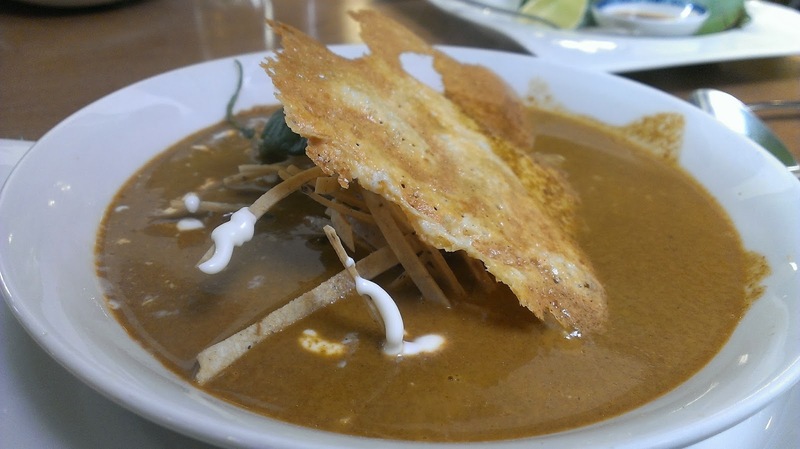 This was a sopa Azteca from the relatively new upscale Turtux in the San Angel neighborhood of Mexico City. The kitchen is run by the welcoming Margarita Carrillo Arronte de Salinas, who came by our table with a warm smile and made us promise to save room for dessert. But she isn't just a sweet lady who can put a modern twist on a Mexican classic with flawless technique and still maintain the rich, deep flavors of a homemade meal at grandma's, she was the driving force behind getting Mexican Cuisine recognized on the UNESCO list of "Intangible Cultural Heritages", the first world cuisine to ever make that list, and still the only one (Japan is in the process of petitioning now). She also wrote the book on Tamales y Atoles, literally. There was more as you can imagine, but besides a few tacos al pastor here and there, these were the real standouts. Here's to another year of sharing the food I eat, and stayed tuned as I get back in gear with more on Denver.